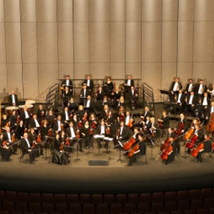 The Tulsa Symphony Orchestra presents a regular Classics Concert Series. Take a seat at the Tulsa Performing Arts Center, and listen to the crescendoes of sound from the musicians on stage. For the fifth installment of the Classics Concert Series, listen to the Tulsa Symphony Orchestra perform a broad range of whimsical styles, led by English conductor Matthew Halls.